Designed to bring good luck on your wedding day, this exclusive Bridal Necklace includes a shimmering faceted crystal pendant and a stunning silver horseshoe charm. Handmade to order, the crystal quartz pendant is available in a heart or square shape, and the horseshoe charm hangs downwards to fill the room with luck. 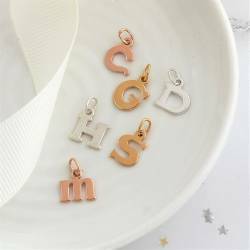 This gorgeous Wedding Pendant Necklace can be customised further with the silver initial charm of your choice to create a unique personalised wedding day gift for every member of your bridal party. Made in the finest sterling silver and beautifully presented in a designer gift box, it is a lovely piece of bridal jewellery that you can wear long into your happy every after.